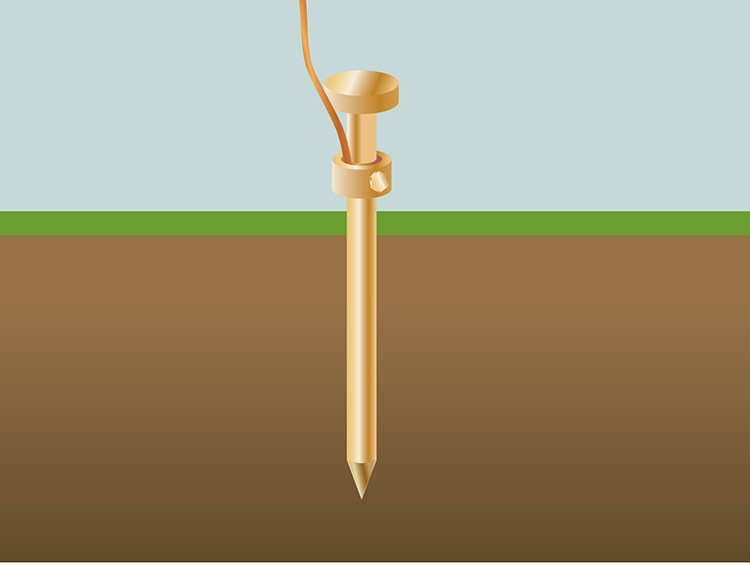 The resistance of the ground electrode and its connection is generally very low. Ground rods are generally made of highly conductive/low resistance material such as steel or copper. The National Institute of Standards (a governmental agency within the US Dept. of Commerce) has shown this resistance to be almost negligible provided that the ground electrode is free of paint, grease, etc. and that the ground electrode is in firm contact with the earth. The ground electrode is surrounded by earth which conceptually is made up of concentric shells all having the same thickness. Those shells closest to the ground electrode have the smallest amount of area resulting in the greatest degree of resistance. Each subsequent shell incorporates a greater area resulting in lower resistance. This finally reaches a point where the additional shells offer little resistance to the ground surrounding the ground electrode. So based on this information, we should focus on ways to reduce the ground resistance when installing grounding systems. One very effective way of lowering ground resistance is to drive ground electrodes deeper. 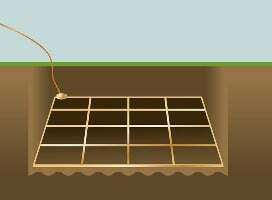 Soil is not consistent in its resistivity and can be highly unpredictable. 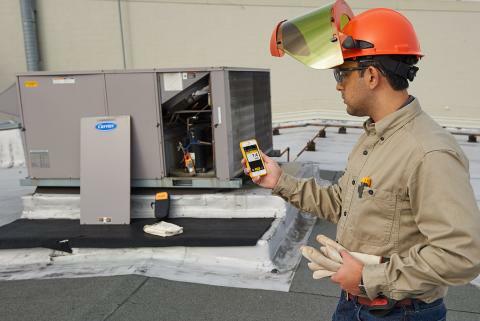 It is critical when installing the ground electrode, which it is below the frost line. This is done so that the resistance to ground will not be greatly influenced by the freezing of the surrounding soil. Generally, by doubling the length of the ground electrode you can reduce the resistance level by an additional 40 %. There are occasions where it is physically impossible to drive ground rods deeper—areas that are composed of rock, granite, etc. In these instances, alternative methods including grounding cement are viable. Increasing the diameter of the ground electrode has very little effect in lowering the resistance. For example, you could double the diameter of a ground electrode and your resistance would only decrease by 10 %. Another way to lower ground resistance is to use multiple ground electrodes. In this design, more than one electrode is driven into the ground and connected in parallel to lower the resistance. For additional electrodes to be effective, the spacing of additional rods need to be at least equal to the depth of the driven rod. Without proper spacing of the ground electrodes, their spheres of influence will intersect and the resistance will not be lowered. To assist you in installing a ground rod that will meet your specific resistance requirements, you can use the table of ground resistances, below. Remember, this is to only be used as a rule of thumb, because soil is in layers and is rarely homogenous. The resistance values will vary greatly. 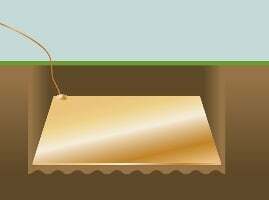 Simple grounding systems consist of a single ground electrode driven into the ground. The use of a single ground electrode is the most common form of grounding and can be found outside your home or place of business. 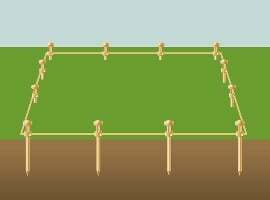 Complex grounding systems consist of multiple ground rods, connected, mesh or grid networks, ground plates, and ground loops. 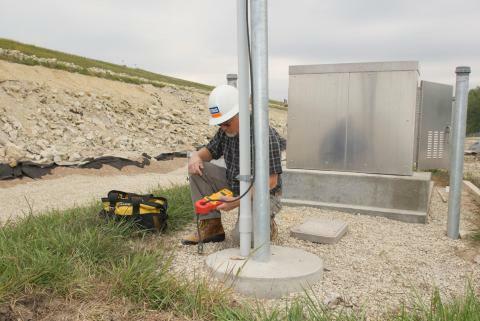 These systems are typically installed at power generating substations, central offices, and cell tower sites.